DRV DAV Centenary Public School, Phillaur is a premier institution of the peaceful and prosperous Doaba region of Punjab. Located in semi urban area, sprawling over nine acres of land, the school is committed to break down stereo-typed images and provide international perspective and global vision which is so essential to avail exciting and ever-expanding opportunities in the world. The school is known for inimitable achievements in academic, sports and co-curricular activities. As a result, DAV College Managing Committee, New Delhi ranked it in the “VERY GOOD CATEGORY” in X and XII standard (session 2012-13) & the school was ranked in "OUTSTANDING CATEGORY" (session 2015-16).The Prospectus of the school has christened a motto of developing global citizens with global vision. It activates the potentiality of each student and enables him/her not only to absorb knowledge but also to create it .The school believes in igniting the young minds so that they develop to their fullest extent. It enables our students to realize their dreams. Under the visionary leadership of the Principal and motivating staff, the students take long strides on the path of innovative ideas to cultivate a global attitude. 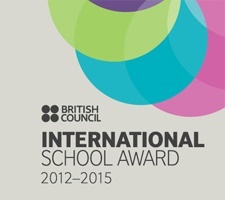 The school is a member of International Association of Schools Educating for Unity and Peace(IASEP). The students here are taught to appreciate the uniqueness of all cultures and the oneness of mankind. Links with global perspective led us to the conferment of various National and International Awards such as the British Council International School Award, School Sanitation Award,The Best Manager Green School Award and The Tiger Luminary Award by CBSE in the recent past.